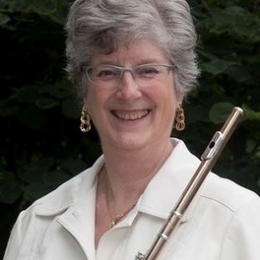 Katherine Borst Jones, flute soloist and professor of flute at The Ohio State University since 1985, will be featured with the Sinclair Community College Community Wind Symphony when it performs on Saturday, December 10, at 8:00 p.m. Professor Jones will also present a Master Class for area musicians on Friday, December 9, at 4:00 p.m. Both events are free, open to the public and held in Blair Hall Theatre, Building 2 on Sinclair’s downtown campus. The concert is conducted by Sinclair's Kenneth Kohlenberg. Call 937-512-2753 for information.